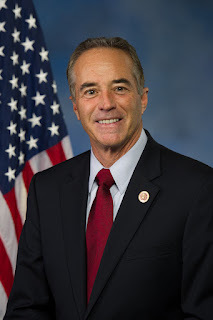 WILLIAMSVILLE, N.Y. -- Congressman Chris Collins (NY-27) today announced that the U.S. Department of Transportation (DOT) has allocated $344,475 in funding to improve the Canandaigua Airport and Perry-Warsaw Airport. The improvements will ensure the longevity of the airports' infrastructure. "This is welcome news for Canandaigua and Perry to improve the safety and service of their airports," said Collins. "Both of these projects will make important improvements to keep these airports functional and able to provide essential service to the community." The Canandaigua airport will receive $112,500 to conduct an environmental study to evaluate any potential environmental impacts related to the proposed obstruction removal project. The Perry-Warsaw Airport will receive $ 231,975 in funding for construction to install an automated weather observing system. The system will enhance the safety and efficiency of aircraft operations at the airport by providing accurate, current and site-specific weather information. The Congressman's office remains available to assist any local government pursuing a federal grant.